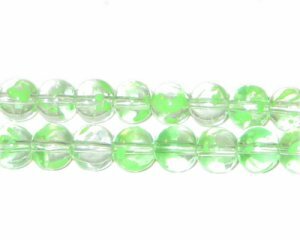 These are 8mm Greenbrier Spray Glass Beads, approx. 52 beads on a 16" string. Love this site.. I am hoping to make this a long lasting relationship.. So Impressed with Dollar Bead! !